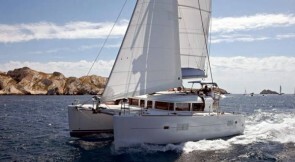 Yacht charter in Costa Brava is the perfect way to discover this stretch of sand and sea of ​​extraordinary beauty. 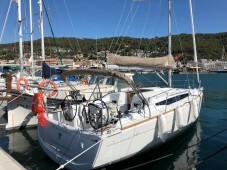 Top Sailing Charter will help you sailing Costa Brava at your ease and to find the boat that fits you most. Enjoy the beaches in Costa Brava from another point of view! Costa Brava has about 200 kilometers of coastline, 30% of which are protected as a natural area of ​​interest. In Costa Brava you will discover treasures of unparalleled value such as Cap de Creus, which inspired artists like Dalí, or Cadaqués, a fishing village with a beautiful network of narrow streets. Outstanding artists such as Buñuel, Picasso, Duchamp and Lorca found inspiration in Cadaqués for many of their works. Tossa de Mar with its beautiful walled castle and the idyllic corner for lovers of Cala de S'Alquer, with no more than a dozen fishing houses, are also highly recommended places to visit. In addition to all these villages, yacht charter Costa Brava will allow you to enjoy the beaches in Costa Brava, such as the Canyelles or the Aigua Xelida from a unique and privileged point of view. Do not forget to visit the house of Salvador Dali, now the Museum of Portlligat, the Greek and Roman ruins or hiking activities and discover the Mediterranean gastronomy with the typical rice of Pals, the anchovies of l'Escala, the olive oil of Pau, the taps of Cadaqués and many other specialities. Enjoy your Costa Brava holidays with yacht charter Costa Brava and let yourself be amazed by all that the Catalan coast has to offer you.